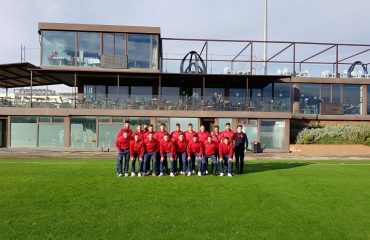 The Aragonese team drawn on of their trip to Ontinyent (Valencia) on the occasion of their Second Division B match to rest and concentrate at SIA Center. The sensational football atmosphere does not stop at Soccer Inter-Action. Our International Soccer Academy and High Performance Center added another outstanding experience with the Stage of Sociedad Deportiva Ejea. 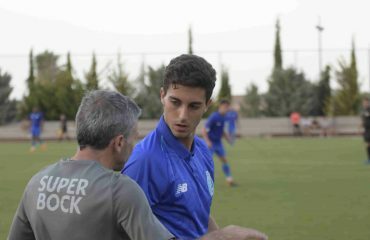 This club, which competes in the much-disputed Group III of the Second Division B of Spain, did not hesitate to put itself in the hands of the SIA Center services to play its first match in the Valencian Community. 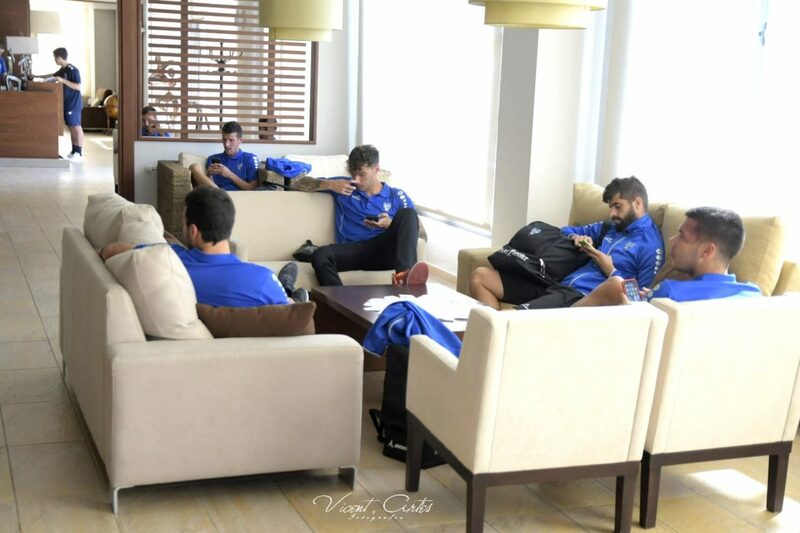 So, due to his soccer match in El Clariano, stadium of the Ontinyent CF, the players that Guillermo Fernández directs spent much of Sunday in our facilities, his rest being the top priority. In fact, both Management and Staff of the Aragonese entity opted to eat at the restaurant ‘Do Dragao’ of SIA Center to then alternate rest in their respective hotel rooms and massage rooms, entertainment in the multimedia room, table tennis and billiards, and study of the rival in the video-analysis room. In addition, thanks to this Stage the footballers living in our International Soccer Academy and the members of the FC Porto Dragon Force Football School were able to see first-hand the operation of a professional team and even interact with them, since throughout all the day was played football matches in the elite sports facilities of our High Performance Center, located in Enguera, Valencia (Spain). 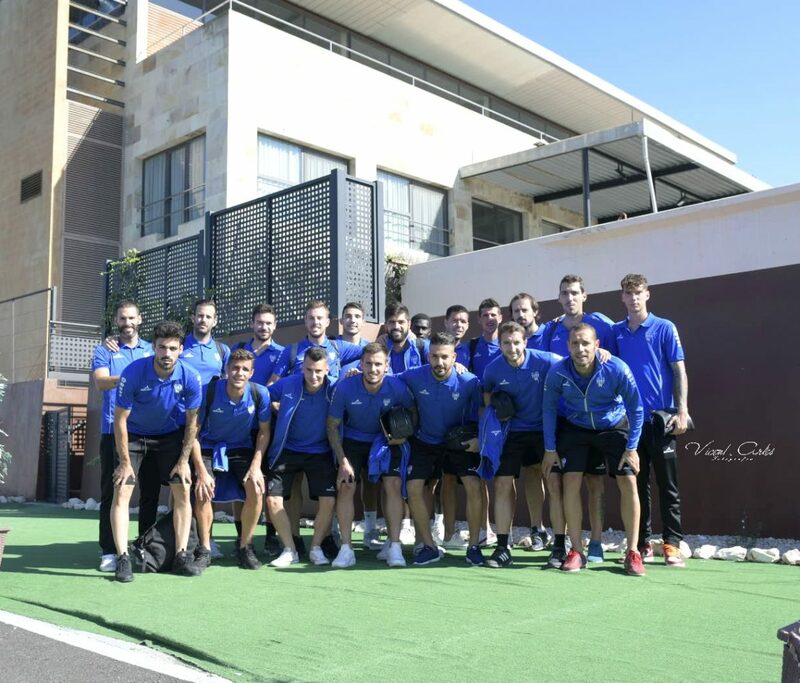 Beyond the concentration at SIA Center, it is worth mentioning the performance of the Sociedad Deportiva Ejea against Ontinyent CF. Despite not being able to take to Aragon the three points, the team showed a great image given in defense. However, they could not put the icing on his good performance, something that will certainly try the next match at home against Villarreal B.